September 7, 2016 — Links International Journal of Socialist Renewal reposted from Socialist Project — Ever since the sit-down strikes of the 1930s, the cycle of ‘Big Three’ auto bargaining has been a major economic and political event, an indicator of the progress of the class struggle in North America. If such interest has sagged of late, it charged back into the news with the aggressive declaration of Unifor's president, Jerry Dias, that winning new investments for Canada is at the top of the union's agenda in its current bargaining round with General Motors (GM), Ford and Chrysler. Dias followed up this challenge to management's right to unilaterally decide investments with the audacious warning that if these U.S.-based corporations don't deliver on bringing a fair share of investments to Canada, they can expect a strike. June 19, 2016 -- Links International Journal of Socialist Renewal -- Why has the use of the strike in the US become so scarce? While subjective factors are more difficult to quantify, certain basic reasons seem more readily evident. Union membership, particularly in the private sector, is at an all-time low. Most of the unions are heavily bureaucratized, and central labor councils ossified. “Sympathy strikes,” long ago outlawed by Taft-Hartley, militate against the sort of broad-based solidarity so essential to an industrial victory. Moreover, many unions have accepted no-strike clauses for the duration of their contracts, effectively tying one hand behind their backs. 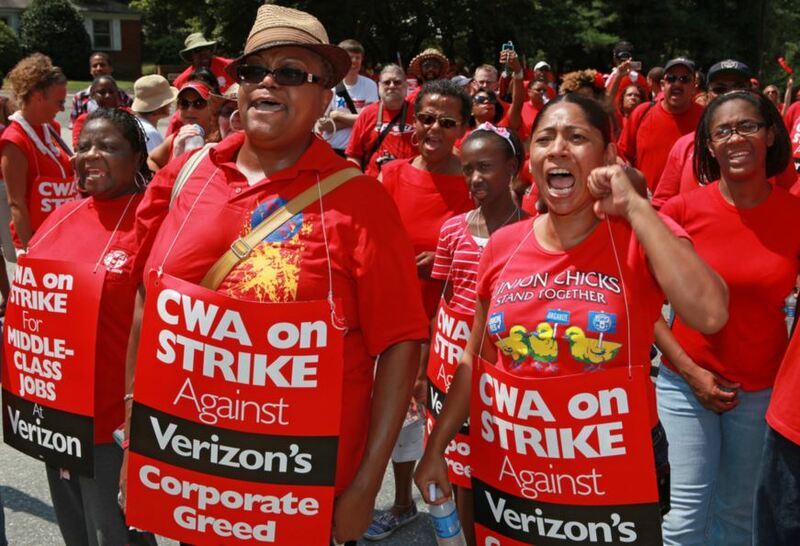 Despite it all, the recent victory of 39,000 International Brotherhood of Electrical Workers (IBEW) and Communications Workers of America (CWA) workers at Verizon furnishes a stark reminder of what kind of power resides in the organized section of the working class when it is in motion. It also shows the power of the strike weapon, and how it can be an effective tool -- in not only realizing demands and raising working class living standards -- but also rebuilding our unions. Aotearoa/New Zealand: Unite Union's fast-food workers take on corporations and win! Unite fast-food delegates at a national gathering on February 14 take time out to picket a McDonald's store to launch the campaign publicly. For more on Aotearoa/New Zealand, click HERE. May 18, 2105 -- Unite Union, posted at Links International Journal of Socialist Renewal with permission -- Workers in the fast food industry in Aotearoa/New Zealand scored a spectacular victory over what has been dubbed “zero hour contracts” during a collective agreement bargaining round over the course of March and April this year. 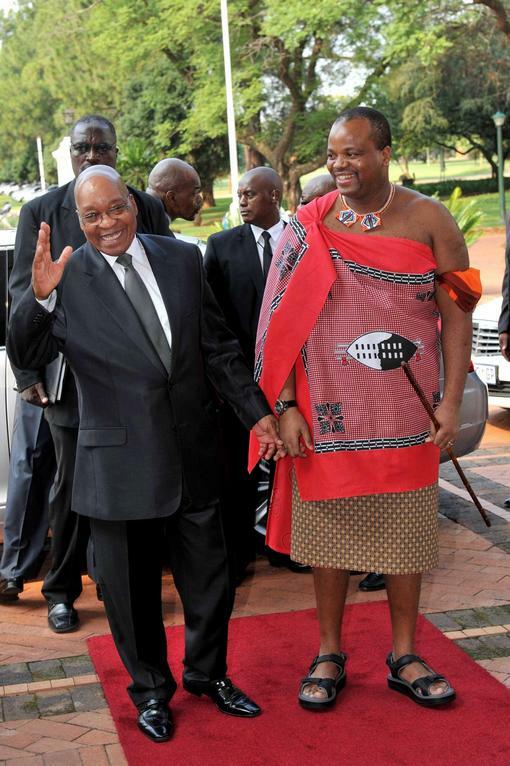 South Africa's ANC President Jacob Zuma gives Swaziland tyrant Mswati III the red-carpet treatment. For more on Swaziland, click HERE. 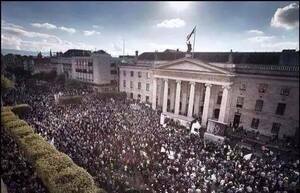 But apart from a few verbal sallies from non-governmental groups, there has been silence from South Africa. And this should be deeply worrying to those who are concerned about deepening democracy on the continent and in ensuring that a wealthy, often corrupt — if not entirely melanin deficient — elite do not continue to dominate. March 1, 2015 -- Links International Journal of Socialist Renewal -- South Africa continues to be ravaged by the crisis of poverty, unemployment and inequality and the black and African working class are its worst victims. Black working class women and youth are in a state of hopelessness, desperation and despondency. Increasing numbers of school leavers are swelling the accumulating pool of the unemployed. 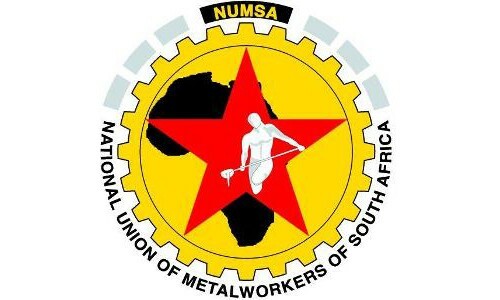 The congress of South African Trade Unions (COSATU) is in a state of paralysis and that has given our government an opportunity to pursue its neoliberal policy direction, as articulated in the National Development Plan. 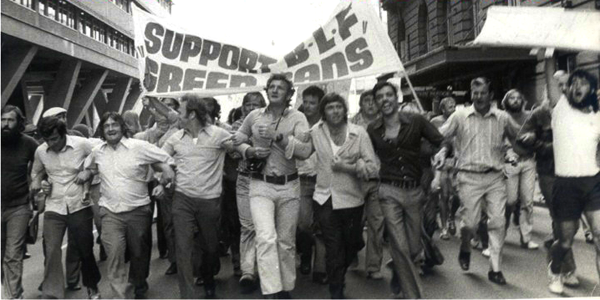 This was not going to be easier for the state if the federation remained the militant defender of the working class that it has been throughout its history. The leaderships of the eight unions have consistently refused attempts to turn COSATU into a passive and non-campaigning federation. 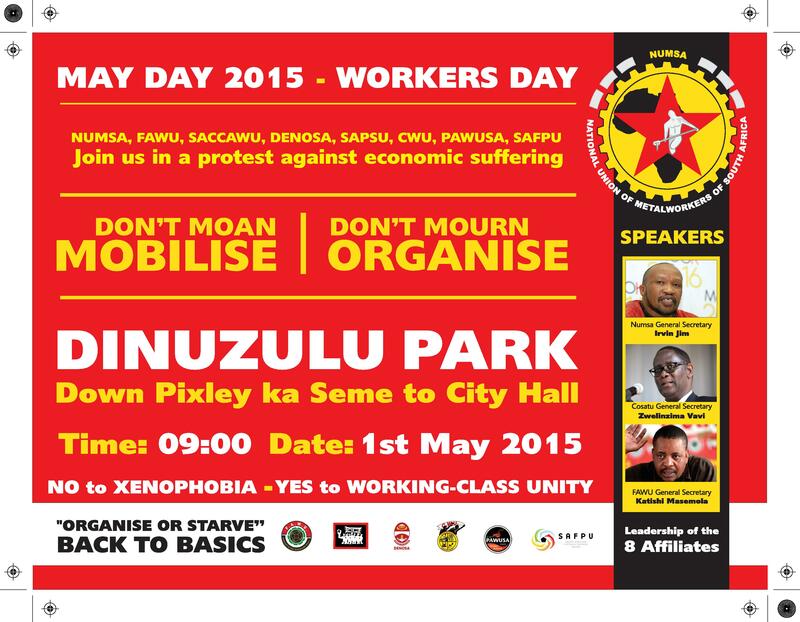 We have rejected all attempts to get COSATU becoming a conveyor belt and an apologist of neoliberal policies. 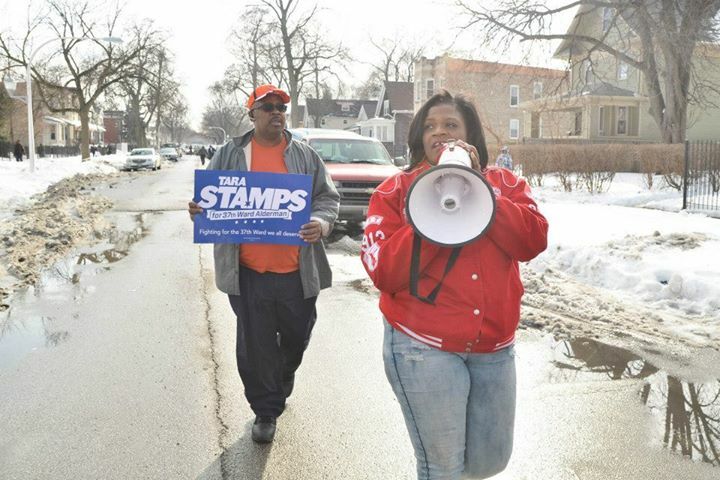 Chicago teacher Tara Stamps campaigns in the 37th Ward for a spot on the city council, and for mayoral candidate Jesus "Chuy" Garcia. Both Stamps and Garcia earned enough votes to make the April 7, 2015, runoff. Photo: Tara Stamps. Click for more on left electoral politics at the municipal level. February 25, 2015 -- Labor Notes, posted at Links International journal of Socialist Renewal -- On election night, February 24, 2015, the Chicago Teachers Union (CTU) and its new independent electoral organisation didn’t knock out Democratic Party mayor Rahm Emanuel—but they did take him down a notch, forcing him into a runoff with the union’s preferred candidate, Jesus “Chuy” Garcia. It’s the first runoff in a Chicago mayoral election in 20 years. Union-friendly city council candidates and ballot initiatives gave Garcia’s campaign a boost. Three rank-and-file CTU members running for city council seats—Tara Stamps, Susan Sadlowski Garza and Tim Meegan—made it into the April 7 runoff, too. 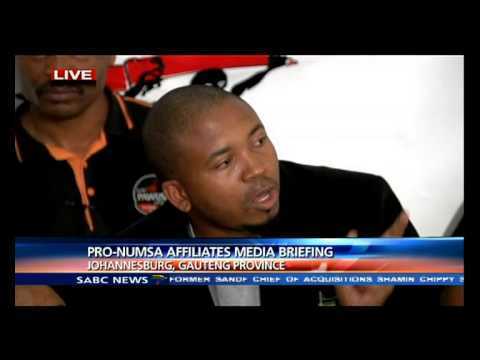 January 28-30, 2015 -- Real News Network, posted at Links International Journal of Socialist Renewal -- In this three-part interview, Irvin Jim, leader of the National Union of Metalworkers of South Africa (NUMSA) -- the largest trade union in South Africa with 340,000 members that is calling for a return to the principles of the Freedom Charter -- describes his early life and radicalisation and explains why his union withdrew its support for the governing African National Congress (ANC). Workers must build a united front to implement the Freedom Charter, which includes participating in electoral politics, and fight for socialism. The workers movement can't just be about marching, he says. The full rough transcript continues below the videos. Strikers march on December 15, 2014. December 17, 2014 -- International Viewpoint, posted at Links International Journal of Socialist Renewal -- The 24-hour strike that mobilised the Belgian working class on December 15 was an enormous success. The country was completely paralysed: in Flanders, in Wallonia and in Brussels, in the private and public sectors, in industry and the services, transport and the trade, the big and small companies. 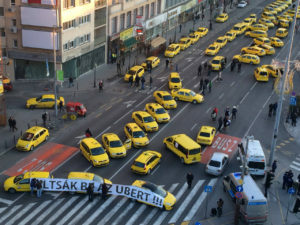 Such a massive movement has not been seen since the strike of November 1993 but, unlike that one, the strike of December 15 should not remain uncompleted.